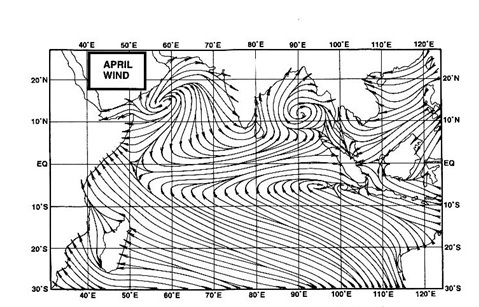 Arabian Sea UAC descends to 925 hp level, and remains embedded in the axis, which is running along the 7N line. UAC around 7N and 72E, and will descend to sea level as a low within 24 hrs. As a system (AS-2), it will move W/NW, along the 10N , due to a ridge, which will form from the system. Now, the only factor which may alter the course could be O-3, as i see it coinciding with the timing of AS-2. What we must remember is that AS-2 is far too much in the South at this stage. BB-10, now at 11.7N and 88.7E, has moved West, deepened to 1004 mb. Will move west, as it will be steered by ridge in the Northern Bay. As projected, the high pressure has kept it South. We will keep a vigil on the WD (O-3) , though i feel WD will be over India after BB-10 has moved inland. WD may not spoil the precipitation over TN. BB-10,AS-2,O-3...lots of activities going on in the Indian subcontinent. BB-10 may futher intensify into a depression,but under the influence of AS-2,the system may slightly drift WSW and entire coastal TN and s.coastal AP is going to face a wet weather from 29 oct.AS-2 may intensify and move NNW initially and may drift NNE later,bringing wet weather to west coast. Rajesh sir, i appreciate your kind words and for your encouragement. I myself very much feel that this system looks like it is going to take a definite turn towards west coast once it moves northwards parallel to Goa, after which its will turn towards the west coast .and also the winds r going to be southwesterly favouring the system moves towards the west coast, so very much our west coast is going to get battered by the rains ,but rajesh sir , my question is among all this what will be the effect and the intensity of the rains over mumbai. I think it will be named storm and will hit central TN...(Thane hit areas) but like Cyclone Nisha 2008...Chennai is for battering. Today from 4pm onwards till now multiple heads generated in E/SE/NE horizon of Badlapur. As per Radar Some rain also seen 50kms NE of Badlapur. And 1hr back rain was also seen in 50kms SSE side. And some windy weather was created from East side. Probably next few years NEM for India may become a legend. God know what will happen to SE India??? So much of resistence/hurdles for low to reach TN- how can populations sustain with such factors in years to come. Sam Khan - AS sounds like SWM phase 2. Anyway if Bay low misses TN/AP/KAR then desertification is sure. Let us wait for 29-oct.
Badlapur is totally cloudy at moment with few drops fallen. Half hour back radar was showing heavy rains just 20kms East of Badlapur. At that time here it was breezy from ESE. But no lightening & thundering at all even being of thunderheads cloud ! You are absolutely right SSET, this November we are going to experience , the repeat of SWM may be for a week all thanks to AS-2. BUT again as AS-2 is going to bring wet phase all along the west coast , may be for a week.need to keep close watch on it and how it moves. @ sset. Looking like Bay low will hit just south of Chennai coast that is anywhere between Cuddalore to Northern Sri lanka tip ! So Bangalore may have to satisfy in light to medium rain showers !! It is just based on mine own observation via some weather models..
All we need to do is wait n watch , as mentioned by rajesh sir earlier, the system AS -2 is quiet far away down south . we have to wait till it progresses further parallel to the peninsula coast line. then we can coment further on it . A small patch of torrential rains was experienced at Lonavala. While returning from an excursion, the only rain patch encountered was around Lonavala, in a very small radius. Rain amount will be known soon. But interior regions where we trekked was dry with observations of Thunderheads ..
@ Rajesh Sir.Even Badlapur had many thunderheads developed last night. Even for some period it was windy and was dark cloudy at 9pm with just few drops fallen. I already had provided live update yesterday on the post time to time. @ rajesh sir.I hv a Q...If the low over BOB intsnsifies into a depression.Will it b able 2 cross penninsula & form a low over AS. puneet: was just calcualting that option. expecting the 2 to merge..hang on, blog will be updated today afternoon..
Rajesh sir my personal assumption is that i feel that ,its very unlikely that this BOB will cross over peninsula and form low over arabian sea, but instead of that it is likely to create strong thunderstorm activity along the western coast, in this week or the following week.and apart from this already AS -2 is likely take place in the arabian sea after BOB has crossed. Rajesh sir u know the best, but u can correct me if i have made an error in my previous comment, regarding the BOB N AS-2. Look at sat img http://www.imd.gov.in/section/satmet/dynamic/insatglobe-ir.htm.Such a massive cloud is hunging nr TN.If it intensifies then there will b a high probability of crossing the penninsula & cause a low over AS. Well puneet we need to wait n watch , difinitely its going to track westward .lets see what Rajesh sir has to say on this. Rajesh sir , i have a question , can we assume that this system from bay will enter arabian sea and then merge with AS-2 ?? At moment all confusion is going on ! So this current events are going to be nice for study purpose ..
Now looking like Bay low crossing anywhere between Cuddalore to North Sri lanka then cutting into two parts one moving NW towards AP coast then in inland an second one towards Kerala. AS-2 remaining stationery 300kms WSW of Kerala coast till 31st Oct and Bay low producing rains only in Peninsula regions ! But 1st week of November conditions around Mumbai(Konkan)region to predict is very difficult at moment or bit confusing as per mine observation.. So have wait for next 48hrs for Konkan prediction !! Till then just have to watch what Bay low is going to influence on Tamil Nadu coast..